Subscribe to enough podcasts and you'll see lengths from thirty seconds to two hours and frequencies from multiple times a day to once a month. I share some tips on determining the right balance for your podcast. 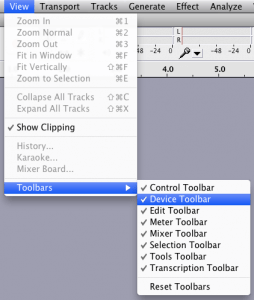 Audacity tip: how to switch playback and recording devices within Audacity. I have a lot of emails and voicemails to go through; I promise to respond to them all, but it's taking a little while to sort them out. 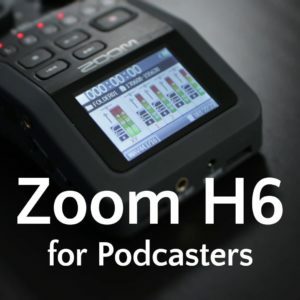 How frequently should you podcast? 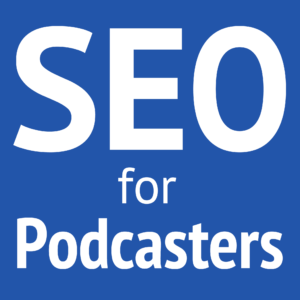 Determining how often your podcast (your frequency) is very dependent upon your content. If you talk about a weekly TV show, then it's probably obvious that you should have a weekly podcast. But have you also considered a semiweekly (two a week) episode? Perhaps an initial-reactions episode immediately after the TV show airs, and then a later, more thought-out episode with feedback. Cliff Ravenscraft's Weekly Lost Podcast followed this format. Or maybe you want to be among the first to talk about the latest tech news. Then maybe you should be daily. The late GeekBrief followed this format and did very well. Wall Street Journal Tech News Briefing actually podcasts twice a day, because their information depends on what happens overnight before the business day, as well as what happens within the business day. Some podcasts are biweekly, while others are even monthly. Subscribe to any monthly podcast, such as Children's Ministry Monthly, and you'll see that episodes are not released on a consistent schedule. First determine how timely your content must be, and then set a schedule and try to stick with it. A weekly format seems the most popular and easiest to hold with consistency. Once you've picked your frequency, then your can choose your optimal episode length. How long should each podcast episode be? The length of each episode greatly depends on your frequency. Unless you have an extremely loyal following, releasing one-hour episodes every day (under the same podcast, that is) seems overkill. If a subscribe goes on a one-week vacation, they'll return to five hours of that show's content, which can be very hard for catching up. But on the opposite side, a monthly podcast should not necessarily be a two- or four-hour-long episode. It's all right if you record that much content, but break it up into smaller episodes to make it easier on your listeners. The more frequently you update your site, the more Google will love you and the easier it can be to build a faithful audience. Are You Just Watching?™, one of our other podcasts on the Noodle.mx Network, is recorded approximately monthly, but each main episode is split into two parts. We do this while recording by watching our timer and verbally closing the current topic and ending the episode. This is very smooth and friendly on the ears. But you can still look for ways to break up very long episodes by interjecting a split and releasing the episodes separately. The following are my personal opinion, based on what I have heard from many other listeners as well as what seems to work among the most popular podcasts. As you can see, I highly recommend podcasting no longer than one hour (60 minutes). The sweet spot seems to be 30–45 minutes. It's short enough that many can probably listen during their commute (either one-way or round-trip). However long you decide to make your episodes, have a good reason! Don't let yourself ramble on for two hours in one episode if you regularly release half-hour episodes. Break things up and your listeners will be happy. Personally, I have unsubscribed from most of TWiT's podcasts because of excessive length for a weekly show. 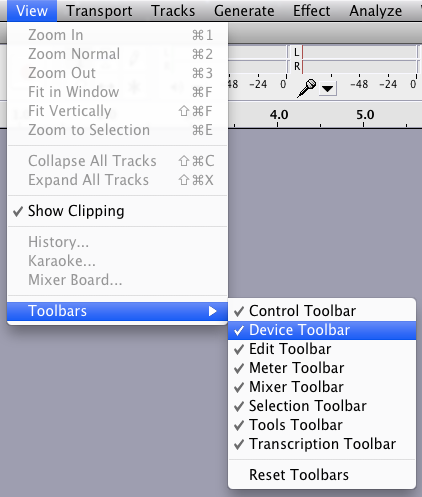 Whether you have multiple playback or recording devices, or you just want to make sure you're recording from the Line In rather than your internal microphone, the Device Toolbar will be extremely valuable to you. Click on the drop-down menus for either Playback or Recording to switch devices. Keeping this visible is so much easier than digging through the preferences! I host a weekly show Aviation Careers Podcast. We try to keep the podcast less than an hour per your advice. The audience is growing and we have been receiving many listeners questions. I am finding it a challenge keeping the podcast less than 60 minutes if I include all of the listener questions. 1. Allow the episodes to go over 60 minutes by including listener mail.2. Have an occasional episode dedicated to answering listener mail.3. 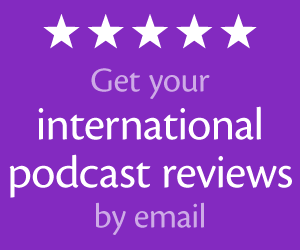 Release an additional episode between the normal episodes answering listener mail. What is your opinion? Thanks again for the great podcast! Option 2 for sure! IMO, if your audience is growing using a weekly 1-hour format, then stick with it because its obviously working. If your episodes run over 60 minutes, or if you release extra episodes, you may run the risk of losing some listeners because the content may become too long or overwhelming. Maybe something like the 1st, 2nd, 3rd or last show of the month can be dedicated to listener questions? As you’ll hear in episode 102 about the Podcast Awards, podcasts that release more than weekly actually seem to be growing faster. Great questions! This is tough because every situation is different. 1. I would say 80 minutes should be a target maximum for an episode. You could survey your listeners to find out whether they are left wanting more (always a good thing), or if they think longer episodes would be too much. Sometimes, it simply doesn’t fit to include all feedback. 2. Occasional feedback episodes can be nice, but sometimes not the best value for listeners. Or your feedback will pile up so quickly and you’ll keep thinking of other things you want to podcast instead. 3. An additional episode could work, too. Just don’t release it too closely to when you publish your main episode. I struggle with this same issue for my Once Upon a Time podcast. We receive so much feedback that doesn’t fit into the podcast. We keep each episode very focused on the latest TV show episode, so we can’t include everything. I often think about a bonus feedback episode somewhere in the week, but we already publish twice a week. How about a second podcast that is a weekly or bi-weekly show of just listener questions? Could brand it as another related show to the main one. This can have standalone value itself it seems. A separate podcast (with a separate feed) would most likely flop as it would not reach the majority of the intended audience. If you wanted to do the extra episodes, then they would be fine in the regular feed, but could be labeled differently (just not numbered differently). Thank you for your great article. My question is, does length have to be consistent. I’ve recorded two podcasts at the moment with guests. One spoke to me for about 20 minutes, the other 10 minutes. Is there a problem with this? Some podcast-consumers won’t like inconsistent length because some aspects of their lives fit nicely with their podcast: commute, jog, a chore, etc. However, it’s far better to have a short episode with great content than a long episode where you waste time just to fill the space.